The outstanding features of Steffani’s enchanting chamber duets are their contrapuntal sophistication, and the need for extremely accomplished solo singers with the sensitivity necessary for performing complex chamber music. Johann Mattheson recognized both facets in 1739, confirming that Handel had chosen his models for this genre wisely, and also that, in his estimation, Steffani’s works remained unsurpassed. Colin Timms’ 1987 essay, Steffani’s Influence on Handel’s Chamber Duets, explored the various ways in which Handel appropriated Steffani’s thematic material, contrapuntal style, and overall duet structure for his own works. An Emeritus Professor of Music at the University of Birmingham (UK), Dr. Timms provided the inspiration for this extraordinary Boston Early Music Festival (BEMF) CD project and concert, and has been very generous in helping to shape it. Under the direction of BEMF Musical Directors Paul O’Dette and Stephen Stubbs, four stunning vocalists—sopranos Amanda Forsythe and Emőke Baráth, tenor Colin Balzer, and baritone Christian Immler—and a continuo team of six brilliant instrumentalists will present a selection of Steffani’s gorgeous chamber duets, as well as instrumental gems from the Baroque. This concert coincides with the North American release of the first volume of BEMF’s Steffani Chamber Duet CD series on the CPO label, which features the same BEMF vocalists and instrumentalists. Five of the nine duets performed on this program have never been commercially recorded, so even connoisseurs in the audience will likely be hearing most of them for the first time. When the young musical lion, George Frideric Handel, arrived in Rome in 1706 at the age of twenty-one and fresh from his victories at the Hamburg Opera, he was eager to make an impression and even more eager to learn whatever he could from the Italian musical scene. Handel is perhaps the greatest illustration of W. H. Auden’s adage “amateurs borrow, professionals steal” in that he methodically found the best models for creating his own compositional practices. He had left Hamburg in 1706 bound for Italy with several Reinhard Keiser operas in his luggage and then immediately acquired a book of Agostino Steffani’s chamber duets on his arrival in Rome. In particular, his “modeling” on Steffani duets forms a parallel to his use of Arcangelo Corelli as a model in the realm of the instrumental trio sonata. The Italian type of duet lacks much of the aforementioned virtues of piety and clarity, because of their fugal, artificial and intertwined nature; however, they require a true man, and are a great pleasure to the musically trained ear, in the chamber as well as the church (and earlier in Steffani’s time, also in the theater), if skilled, well-trained singers can be found for them: of these last we now have fewer than of such works. The said Steffani was incomparably outstanding in this type, before all others whom I know, and to this hour deserves to be taken as a model. For such things do not easily become obsolete. Mattheson’s statement confirms that Handel had chosen his model wisely, but also that, in the estimation of Mattheson (who would have known at least some of Handel’s duets), Steffani’s works remained unsurpassed. Why did a composer of such stature as Steffani disappear from our collective consciousness whereas Handel and Corelli are both virtually household names for classical music lovers? One answer to that question is that he was an Italian composer who spent the vast majority of his career in Germany, and is consequently missing from Italian musical histories, and on the other hand, influential as he was in Germany, German musical history (particularly in the twentieth century) has been much occupied with establishing the “purity” of German inspiration, free of foreign influence. Another reason is surely that Steffani’s most important music was vocal music for the theater or the chamber—that is, opera and chamber duet. Only recently has there been an interest in reviving his operas and there is no modern tradition of high-level vocal chamber music performance to compare with the popularity of instrumental chamber music. For all of these reasons, concert performances such as this one are likely to remain rare. Nevertheless, if the occasion arises to pair excellent solo and chamber singers with a well-matched team of continuo players, there could be no music more rewarding than this to perform. The combination of bass and soprano voices seems to have been in particular favor in Italy, but not in the north. Handel wrote his only examples of this combination when in Italy, while Steffani composed most of his in south Germany. This piece is partly built on the ostinato bass patterns of the ciaccona and the passacaglia, harking back to the duets of Monteverdi such as the celebrated Zefiro torna. Francesco Corbetta was the most celebrated guitarist of the seventeenth century with a career that spanned the greatest courts of Europe. This Sinfonia, in his native Italian style, was published in his Varii Capricii per la Ghitarra Spagnuola in Milan in 1643. Handel seems to have been particularly taken with this duo, borrowing from it for two of his own duets, and in particular using it as a model for creating vocal “chains” whenever such an image arises in the poem to be set. Corbetta’s Roman contemporary Girolamo Frescobaldi specialized in music for keyboards. This was the main source for contemporary harpists of solo music for the harp, as harpists themselves guarded their compositions jealously and rarely published their works. This text is by Brigida Bianchi, an actress and singer at the Comédie-Italienne in Paris, whose poems were published in Paris in 1659 and 1666. Steffani may have encountered these texts, and their author, on his visit to Paris in 1678–1679. The Air and Variations is the final movement of Handel’s Suite No. 5 in E major for harpsichord which has been continuously known and played as an independent piece since Handel’s time, gaining the title (not given by Handel) “Harmonious Blacksmith” somewhere along the way. The exhilarating effect of the increasingly virtuosic variations probably accounts for its continued popularity. This duet has the satisfying overall form of a large da capo aria with the vivacious duet for two sopranos at the beginning and end with matching solo “gavottes” for each singer in between. This duet for soprano and tenor is laid out in a large structure with opening and closing duets, but with the solo sections for each of the singers comprising two or three arias in contrasting meters and keys. This is another piece studied closely by Handel, who used material and techniques from it in several of his own works. In Gelosia, between the opening and closing duet sections, each solo is a recitative with cavata: the text consists entirely of recitative verse, but the final line of each stanza is set as a short aria that is “excavated” from the poetry. Originally an aria from one of Handel’s Roman cantatas—Ah! che pur troppo è vero, HWV 77—this piece lends itself to instrumental performance by providing a mesmerizing and pulsating bass line reminiscent of a tango with a gorgeously arcing vocal melody above it that perfectly suits the viola da gamba. We end with one of the most dynamic Steffani duets on the propulsive idea of blazing, darting eyes. Of course poetic emphasis on the eyes of the beloved, whether bewitching or all-conquering, is a recurring theme in this poetry of love and passion—but here it is their deadly dangerous speed and force which are portrayed in this intense music. Hungarian soprano Emőke Baráth has performed roles in many of Alan Curtis’s Handel opera productions, including Sesto in Giulio Cesare, Antigona in Admeto, Oriana in Amadigi di Gaula, and Alceste in Arianna in Creta, in prestigious venues such as Theater an der Wien, Auditorio Nacional in Madrid, and Théâtre des Champs-Élysées. 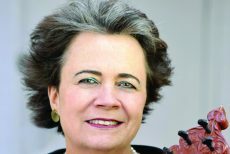 She regularly sings Handel and Bach, including the latter’s Mass in B minor, Saint Matthew Passion, and Christmas Oratorio, with such groups as the Freiburger Barockorchester, Il Pomo d’Oro, Accademia Bizantina, and Les Musiciens du Louvre. Emőke Baráth also specializes in seicento composers, and has performed the lead roles in Monteverdi and Cavalli operas. 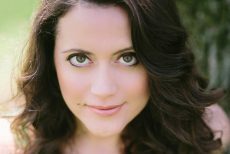 She is increasingly in demand to perform Mozart, and has appeared as Susanna in Le nozze di Figaro, Zerlina in Don Giovanni, and Despina in Così fan tutte, among others. In 2017, she sings the title role of Cavalli’s Hipermestra at the Glyndebourne Festival under William Christie. German baritone Christian Immler studied with Rudolf Piernay and won the International Nadia et Lili Boulanger Competition in Paris. Christian has worked with such conductors as Harnoncourt, Minkowski, Bolton, Conlon, Herreweghe, Harding, Parrott, Corboz, Suzuki, Dantone, Antonini, Nagano, Christie, Christophers, Bernius, Alarcón, and Pichon, performing at places such as the Amsterdam Concertgebouw, the Salzburg and Lucerne Festivals, and the BBC Proms. On stage he appeared at Opéra Comique Paris, the Grand Théâtre Genève, New Israeli Opera, and the Boston Early Music Festival. A keen recitalist, Christian has been invited to perform at Wigmore Hall, the Frick Collection in New York, the Salzburg Mozarteum, and Tonhalle Zurich, this last with pianist Helmut Deutsch. His more than forty recordings have been awarded prizes such as the Diapason d’Or, Diapason Découverte, Diamant d’Opéra, Echo Klassik Preis, France Musique’s Record of the Year, and a Grammy nomination. Christian is Professor of Voice at the Musikhochschule in Lausanne/Fribourg. His website is at www.christianimmler.com. 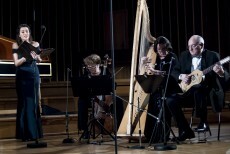 The Boston Early Music Festival Chamber Ensemble was established in October 2008 and delighted the public a month later at the début production of the Boston Early Music Festival Chamber Opera Series: John Blow’s Venus and Adonis and Marc-Antoine Charpentier’s Actéon. The BEMF Chamber Ensemble is a unique and intimate subset of the BEMF Orchestra, and its creation was inspired not only by the smaller instrumental forces required for BEMF’s annual Chamber Opera Series productions, but also by invitations from numerous colleague organizations. The BEMF Chamber Ensemble’s third CD on the cpo label, the Charpentier opera double bill of La Descente d’Orphée aux Enfers and La Couronne de Fleurs, won the Grammy Award in 2015 for Best Opera Recording. The ensemble is led by one or both of BEMF’s Artistic Directors, Paul O’Dette and Stephen Stubbs, or by BEMF’s Orchestra Director Robert Mealy, and features the best Baroque instrumentalists from around the world. Paul O’Dette has been described as “the clearest case of genius ever to touch his instrument” (Toronto Globe and Mail). He appears regularly at major festivals throughout the world performing lute recitals and in chamber music programs with leading early music colleagues. Mr. O’Dette has made more than 140 recordings, winning two Grammy Awards and receiving six Grammy nominations and numerous international record awards. The Complete Lute Music of John Dowland (a 5-CD set for harmonia mundi usa) was awarded the prestigious Diapason d’Or de l’Année, and was named “Best Solo Lute Recording of Dowland” by BBC Radio 3. The Bachelar’s Delight: Lute Music of Daniel Bacheler was nominated for a Grammy as Best Solo Instrumental Recording in 2006. While best known for his recitals and recordings of virtuoso solo lute music, Paul O’Dette is also active as a conductor of Baroque opera. Together with Stephen Stubbs he won a Grammy as conductor in 2015 for Best Opera Recording, as well as an Echo Klassik Award, for their recording of Charpentier’s La Descente d’Orphée aux Enfers with the Boston Early Music Festival Chamber Ensemble. Their CDs of Conradi’s Ariadne, Lully’s Thésée, Lully’s Psyché, with the Boston Early Music Festival Orchestra on the cpo label, were nominated for Grammys in 2005, 2007, and 2008; their 2015 BEMF CD of Steffani’s Niobe, Regina di Tebe on the Erato/Warner Classics label was also nominated for a Grammy. In addition to his activities as a performer, Paul O’Dette is an avid researcher, having worked extensively on the performance and sources of seventeenth-century Italian and English solo song, continuo practices, and lute music. He has published numerous articles on issues of historical performance practice, and co-authored the John Dowland entry in the New Grove Dictionary of Music and Musicians. Paul O’Dette is Professor of Lute and Director of Early Music at the Eastman School of Music and Artistic Co-Director of the Boston Early Music Festival. 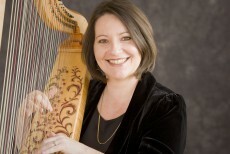 Thirty years of performing with Tragicomedia and Les Arts Florissants, among others, countless recordings on major labels, and her unique status as the world’s leading authority on the lirone have made Erin Headley preeminent in the field of early music. She rediscovered the instrument in 1980, and since 2009 her recordings with Atalante have won numerous prizes including a Diapason d’Or. Her website “The Lirone Museum of Curosities” is forthcoming. Erin’s work was generously funded by the Arts and Humanities Research Council UK (2007–2012), with a post-doctoral fellowship at the University of Southampton. She was musician-in-residence at Harvard University’s Center for Italian Renaissance Studies at Villa I Tatti in Florence (2013). Iain Fenlon (Early Music) said of her work: “Erin Headley must be congratulated for bringing together musicianship and scholarship in a way that is truly revelatory…a milestone. A more powerful and persuasive advocacy for these pieces could hardly be imagined. 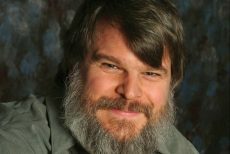 Michael Sponseller is recognized as one of the outstanding American harpsichordists of his generation. Since graduating from the Oberlin Conservatory of Music, studying with Lisa Goode Crawford, and the Royal Conservatoire The Hague, he has taken several prizes including being a rare two-time winner at the Bruges Competition in 1998 and 2001. Mr. Sponseller now enjoys a highly diversified career which brings him to concert venues and festivals as harpsichordist and continuo organist to several of today’s finest musicians, with regular appearances in many of America’s Baroque orchestras and chamber groups, including the Boston Early Music Festival, Bach Collegium San Diego, Les Délices, Tragicomedia, and the Aston Magna Festival. He has taught at the Longy School of Music, Baldwin Wallace University, and Oberlin’s Baroque Performance Institute, and given numerous masterclasses throughout the U.S. In 2014, he was named Associate Director of Bach Collegium San Diego. His recordings are on the Delos, Centaur Eclectra, Vanguard Classics, RMAP, and Naxos labels.